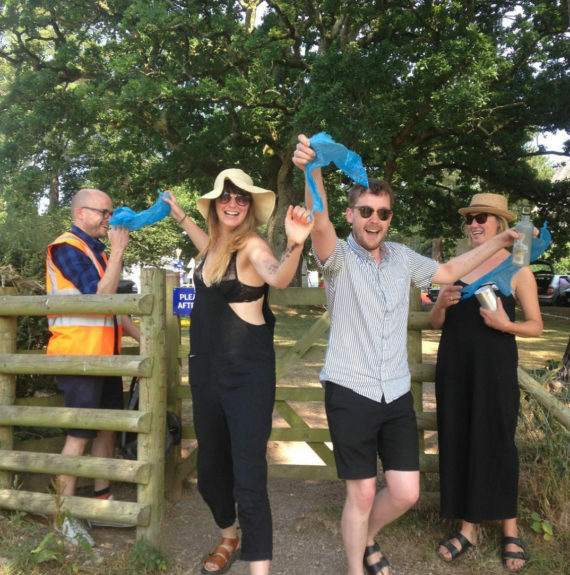 A hot four days of artist-led activity, camping, and swimming in the river Dart, Jamboree 2018 proved to be a successful pulling together of artists' projects, giving room for discussion, creativity and knowledge sharing – some of which is featured on the a-n Instagram courtesy of Beth Emily Richards' takeover. 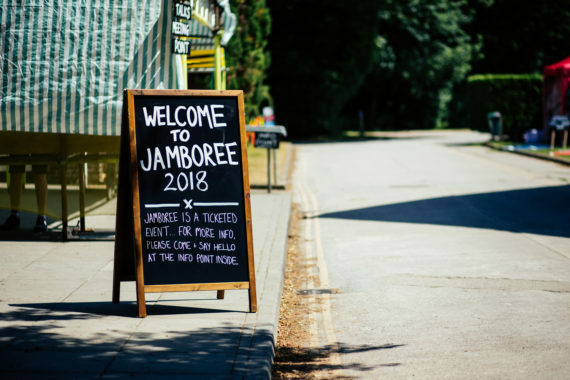 The a-n supported Jamboree 2018 took place from 28 June to 1 July 2018 on the Dartington Estate near Totness, Devon. The 2018 gathering followed an inaugural event at Plymouth Arts Centre in 2015 and was developed by Plymouth-based artist duo Low Profile. 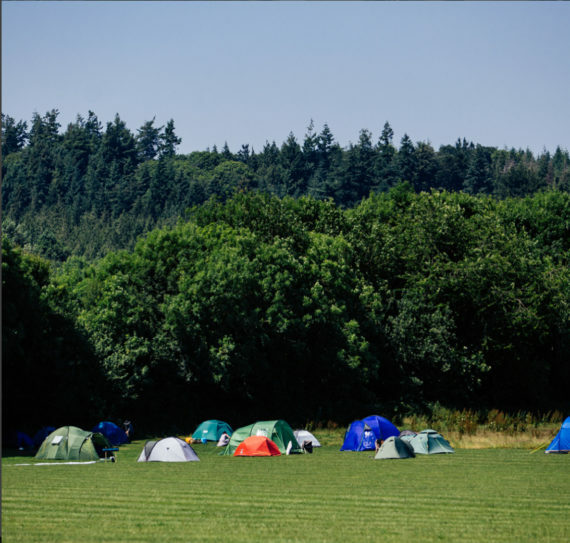 The four-day programme brought together 150 attendees from around the UK “in a relaxed outdoor setting” that included onsite camping along with a series of seminar groups, screenings, talks, walks, and communal making sessions. a-n has financially supported both Jamboree events, helping Low Profile realise its goal to create discussion and facilitate collaborations for artists, curators and programmers who otherwise find it difficult to network because of geographical and financial constraints. From a camp shop with artists’ editions to a silent swimming school, the four days were varied and eventful, with plenty of opportunity for discussion around the issues facing artists today. During Jamboree, artist Beth Emily Richards was invited to takeover the a-n Instagram with a series of posts from the Friday and Saturday, while also blogging about the event on a-n Blogs. Friday’s events included a walk and talk session by Simon Bayliss. 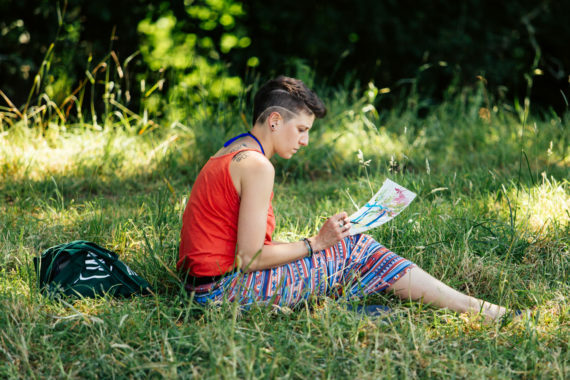 The St Ives-based artist presented two afternoon sessions of ‘Landscape Painters Anonymous’, with participants exploring the Dartington Estate, producing landscape paintings en plein air. Borrowing languages and processes from disciplines such as dentistry and ceramics, Stockwell explores the slippage of materials through time and place, creating artworks that reconstruct narratives to interpret “our contemporary human relationship with artefacts”. Dicker creates work that evoke ritual activity and personal narratives, involving people in the conversation, production and presentation of intimate drawings, transient installations and event-based social activities. Early risers were up at 4.30am on Saturday for Bram Thomas Arnold‘s walk and talk, ‘From Civil Twilight To The End Of Time’. Also on Saturday morning, Richards attended Mark Leahy‘s communal making session ‘Telling Time: a speech-choir making session ‘. Leahy made a workbook for participants, as they constructed a group story with “words and voices”, exploring how they were and where they were. Richards then took part in Rosalie Schweiker‘s walk and talk, ‘Please agree to our terms and conditions’, which saw participants write terms and conditions on their own arms, after group discussion around artists’ working policies. The session encouraged attendees to find an “accountability buddy” to help them stick to and implement the new T&Cs. 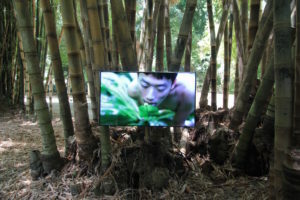 greenandowens‘s walk and talk introduced their project ‘Walking towards Korea’, which the artists – Chris Green and Katheryn Owens – have been working on over the last year with their friend Youngshin, who is based South Korea. Participants at Jamboree took part in the first of a series of many short walks greenandowens will undertake in order to cover the distance between their location in London and that of Youngshin, who lives in the city of Yongin. Richards also attended Francesca Anfossi‘s ‘The Clay Picnic’, a drop in communal making session, experimenting with food making, as well as making food containers and utensils, with clay and found objects. This was a pop-up communal picnic providing discussion on the process of making, social objects and the social role of food in the outdoors. Also on Saturday, a-n’s Hannah Pierce shared information on the ongoing Paying Artists campaign and the Exhibition Payment Guide, during a 20:20 session (20 slides, each shown for 20 seconds) which also included presentations by Katy Richardson, Jonathon Harris, Alice White, and Blair Todd. We’ll be publishing Hannah’s own thoughts on Jamboree later this week. 1. ‘Welcome to Jamboree’, 2018. Photo: Andy Ford. 2. Screen shot from Beth Emily Richards’s Instagram takeover, 2018. Photo: Andy Ford. 3. Simon Bayliss, ‘Landscape Painters Anonymous’, 2018. Instagram post by Beth Emily Richards. Photo: Andy Ford. 4. Simon Bayliss, ‘Landscape Painters Anonymous’, 2018. Photo: Andy Ford. 5. 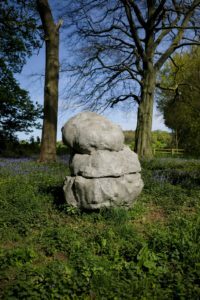 AJ Stockwell, ‘Sonorous Stones’, 2018. Instagram post by Beth Emily Richards. Photo: Andy Ford. 6. Simon Lee Dicker, ‘Silent Swim Pool’, 2018. Instagram post by Beth Emily Richards. Photo: Andy Ford. 7. Bram Thomas Arnold, ‘From Civil Twilight To The End Of Time’, 2018. Instagram post, reposted from @artistsjamboree. Photo: Katherine Hall. 8. 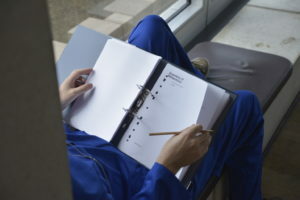 Mark Leahy, ‘Telling Time: a speech-choir making session’, participants’ workbook, 2018. Instagram post by Beth Emily Richards. 9. Rosalie Schweiker, ‘Please agree to our terms and conditions’. Instagram post by Beth Emily Richards. 10. greenandowens, ‘Walking towards Korea’, 2018. Screen shot from Instagram post by Beth Emily Richards. 11. greenandowens, ‘Walking towards Korea’, 2018. Instagram post by Beth Emily Richards. Photo: Andy Ford. 12. Francesca Anfossi, ‘The Clay Picnic’, 2018. Instagram post by Beth Emily Richards.